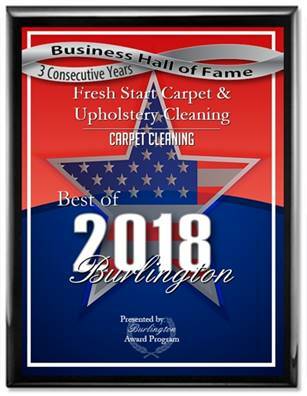 Fresh Start Carpet Cleaning is Southern NJ and Philadelphia’s top rated carpet & Upholstery Cleaning company. Our 5 star service has out performed our competitors for over 19 years! Don’t take our word for it, our numerous 5 star reviews on Google, Yelp, Yahoo and Home Advisor speak for themselves. Fresh start carpet cleans using truck-mounted steam cleaning machines. 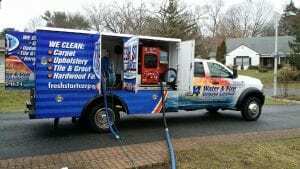 Truck mounted carpet cleaning is the most effective method of carpet cleaning this process removes, pet hair, pet odor, body oils, dirt, bacteria and stains. Our deep cleaning process is fast drying, usually within 3-5 hours. Professional carpet cleaning will not only help maintain the integrity of your carpet but it also is a key factor in maintaining a healthy atmosphere in your home. Steam cleaning your carpet kills germs and greatly reduces allergens that become imbedded in your carpet fibers. Our pricing is some of the most reasonable in the business. We’d like to keep you as our customer for life so we try and maintain a reasonable pricing structure. We have packages as low as 99.00! So what are you waiting for? Call or click to give your carpet the fresh start that it deserves!